The Hallandale Firm Twin Extra Long Firm Two Sided Mattress and Wood Foundation by Corsicana at Miskelly Furniture in the Jackson, Pearl, Madison, Ridgeland, Flowood Mississippi area. Product availability may vary. Contact us for the most current availability on this product. 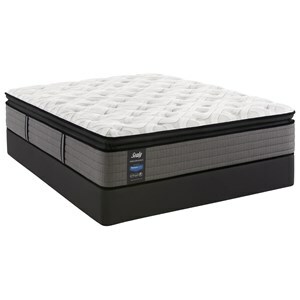 Woodfndtn-TXL Twin Extra Long Wood Foundation 1 9"
This two sided mattress provides a long lasting, quality mattress at a great value price. 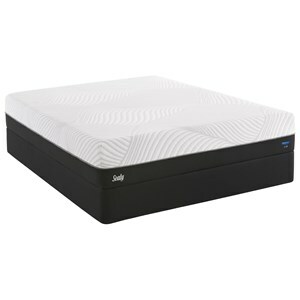 With a premium innerspring core and layers of firm foam, this mattress will provide a solid mattress for the person looking for a firmer feel at an affordable price. A good bed for a stomach sleeper or a back sleeper who likes a harder bed. The Hallandale Firm collection is a great option if you are looking for Mattresses in the Jackson, Pearl, Madison, Ridgeland, Flowood Mississippi area. Browse other items in the Hallandale Firm collection from Miskelly Furniture in the Jackson, Pearl, Madison, Ridgeland, Flowood Mississippi area.